If you ever find yourself having to visit the quaint streets of Rochester, Kent then be sure to book into this cute little restaurant! I went here, for the second time, last weekend for my sisters birthday. The food is just incredible, and really not that badly priced. You HAVE to book; well in advance. They get booked up very quickly. Service is great, they are very accommodating (even with my little niece) and efficient. Topes is I think very well priced for the quality and standard of the restaurant - this for Saturday lunchtime and three courses was £22! Rochester is possibly one of my favourite places to visit, not just because it's where my sister and niece live... but it's just lovely! The castle is picturesque and the high-street is filled with individual boutiques, delis, and tea shops. Ooo it all looks so tasty, those chunky chips, yum! Individuals are extremely bothered with salary charge. On the off chance that we purchase or offer some property then it is our obligation that we settle all the government obligation with custom writing service reviews and feel free for this obligation. It is the most troublesome thing for a merchant. Anyway, my everything all the best are with you and keep it up! 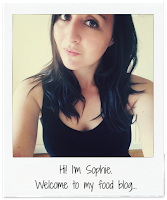 © Sophie Broomfield and www.penneforyourthoughts.co.uk, 2014. Powered by Blogger.